Hey everyone! 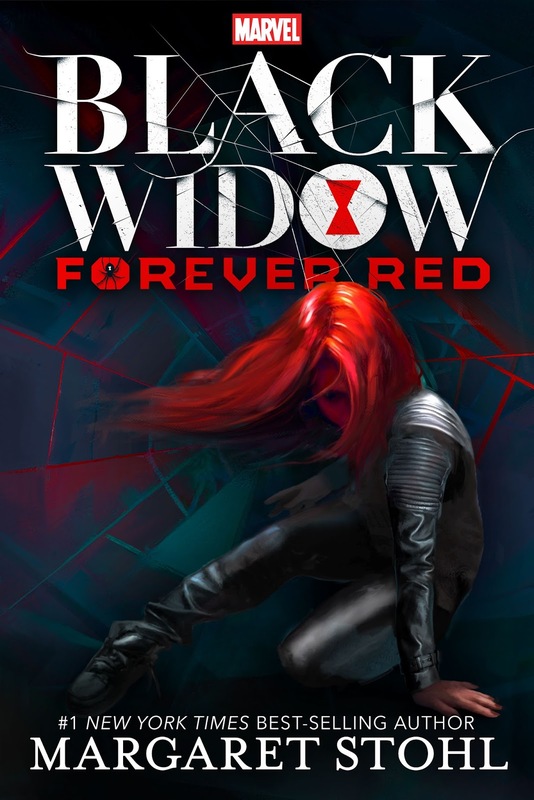 We are super stoked to announce a tour we're hosting for BLACK WIDOW: FOREVER RED by Margaret Stohl which is releasing on October 13th, 2015! The tour will run for two weeks - from October 5th-9th & 12th-16th - will have one stop per day and will consist of a mix of guest posts, interviews and reviews. Review copies will be provided by Marvel Press. We are super excited for BLACK WIDOW: FOREVER RED's release this October! It sounds amazing! Natasha Romanoff is one of the world's most lethal assassins. Trained from a young age in the arts of death and deception, Natasha was given the title of Black Widow by Ivan Somodorov, her brutal teacher at the Red Room, Moscow's infamous academy for operatives. Ava Orlova is just trying to fit in as an average Brooklyn teenager, but her life has been anything but average.The daughter of a missing Russian quantum physicist, Ava was once subjected to a series of ruthless military experiments-until she was rescued by Black Widow and placed under S.H.I.E.L.D. protection. Ava has always longed to reconnect with her mysterious savior, but Black Widow isn't really the big sister type. When children all over Eastern Europe begin to go missing, and rumors of smuggled Red Room tech light up the dark net, Natasha suspects her old teacher has returned-and that Ava Orlova might be the only one who can stop him. To defeat the madman who threatens their future, Natasha and Ava must unravel their pasts. Only then will they discover the truth about the dark-eyed boy with an hourglass tattoo who haunts Ava's dreams. . . .
Black Widow:Forever Red features all the heart-pounding adventure readers expect from Marvel, written by #1 New York Times best-selling author Margaret Stohl. Uncover a new side of the Marvel Universe that will thrill loyal fans and newcomers alike, as Stohl reveals the untold story of Black Widow for the very first time. This is exciting. I'm glad to see Marvel paying more attention to Black Widow.